We understand the frustration of wanting to make the switch to a more environmentally friendly water source although you don’t have space for a classic tank. 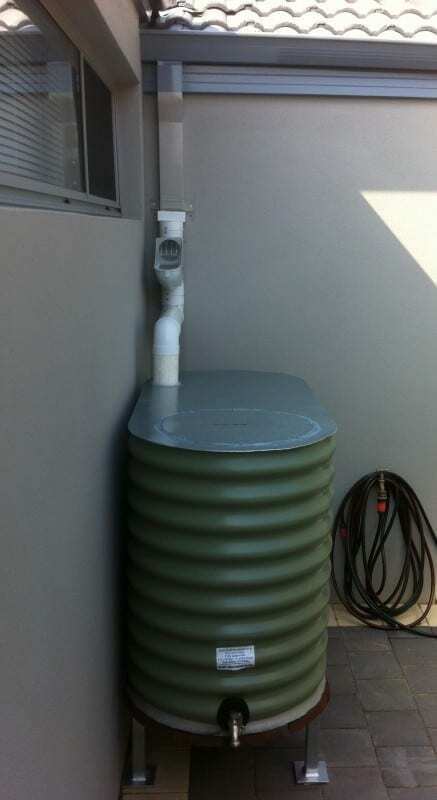 At Rainfill Tanks, we will custom-make small rainwater tanks to perfectly suit your home or business needs. Installing a small tank will help you do your part for the environment while saving money. Small water tanks can reduce your water bills and allow you the extra water you need during times of drought and restrictions. Keep your pool topped up, your garden green and healthy, and your car clean with the additional allowance that small tanks will give you. Rainwater harvesting has been used for thousands of years to collect and store rain from relatively clean surfaces, such as roofs. This water would’ve been otherwise wasted, so it’s a great way to reduce your water bills and decrease your reliance on man-made water sources. The more people who harvest rainwater, the fewer reservoirs we need to build, saving valuable land and resources. Small rainwater tanks from Rainfill Tanks & Curved Roofing Supplies have been designed with convenience and durability in mind. We focus on creating functional, stylish tanks that will stand the test of time while conserving the valuable space on your property. Our team of locals will design, build and install your tank to ensure you receive the best quality product in minimal time. Our expertise in the industry is second to none, and we employ a group of helpful and knowledgeable staff members. We work with our clients to ensure their exact specifications are met without compromising on style. If you’re interested in a durable, low-maintenance water tank for your home or business, don’t hesitate to get in touch with us today. Call (08) 9302 1159 or send us a message online for a quote.